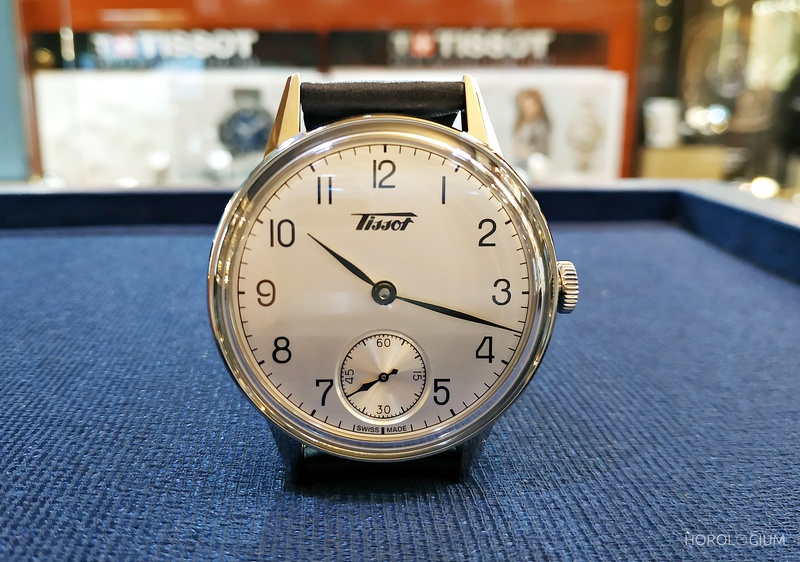 During Baselworld 2018, one of the releases we wrote about was the Tissot Antimagnetic Heritage, based on a 1943 model which was part of the brand’s very successful Antimagnétique collection that they launched in the 1930s. As mentioned in March, the original on which it was based was in a nickel-chromium alloy case with a small seconds, and 27mm sized movement, but this new model, although sticking to the original’s functions and look, has upgraded the size and material. In terms of antimagnetism, this is one aspect that Tissot have kept historical, with the approx 64 Gauss in line with the original watch on which this 2018 model is based. 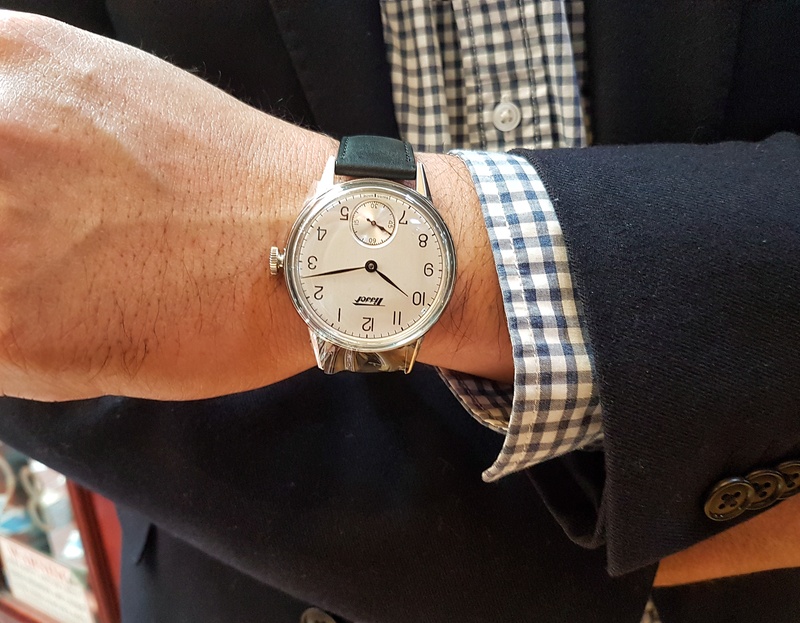 This new model is now available in Australia, with the one I saw having just arrived the previous day (last week) at authorised retailer Vintage Watch Co. (aka Sydney Vintage Watches) in the Strand Arcade. The 42mm stainless steel case has a domed dial, silver and vertically brushed with the Tissot logo of the period, sapphire glass rather than acrylic, leaf-shaped hands, and it comes on a black or brown leather strap with butterfly folding clasp with a Heritage logo. Visually, it has a vintage look, with a white/ silver dial, black Arabic numerals, and a small sub seconds. For some, 42mm is bigger than their preferred size for a dress watch, and to see ‘in the metal’, the Antimagnetic Heritage does look every bit its 42mm. When I picked it up, I did have a moment’s thought about how it would look in 40mm instead, but once you have it on the wrist, the size feels fine and looks fine. In the metal, the watch is as good looking as it appears in photos. It’s clean and not ‘too shiny’ so to speak for a heritage-inspired piece, and an attractive dress watch. Tissot have used a manual-wind movement for this Heritage collection piece in the form of the ETA 6498, which you can see through the case back. As I said back in March, I like that they have chosen to make this a manually wound watch, but now after having handled it, if there’s one thing I’d change, it would be to a solid caseback. The Australian RRP is $1,425 and it is now available from authorised retailers.